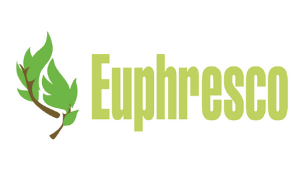 Euphresco project final report: "The applications of remote sensing in plant health (PHeRS)"
Remote sensing is the science of gathering data on an object/area without making physical contact. Aircraft, satellite and drone-based cameras and sensors are used to measure reflected and/or emitted electromagnetic radiation. This information, often captured as images, can then be analysed to extract additional, valuable data which can be mirrored in a GIS environment for spatial mapping. In the last decade great progress has been achieved in the use of remote sensing for the detection and mapping of several pests and relative host species at territorial basis. However, much research on this subject is still ongoing, but few applications have been made in plant health programmes due to some gaps that need to be identified and addressed. State of the art, research needs and gaps on remote sensing methodologies in plant health, including the use of GIS and IT tools. Advancements of research for the qualitative and quantitative identification of host plant species by remote sensing over larger areas. Advancements of research on remote sensing applications for the identification of specific pests over larger areas.